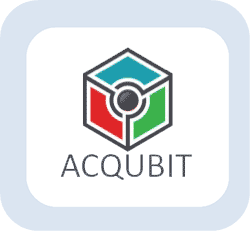 Acqubit designs, builds, and offers handheld/mobile smart 3D camera systems that capture reality and transform into photorealistic 3D models directly on-site. Being able to generate detailed scene information that contains high definition imagery and measurement data combined will greatly increase a user’s ability to capture and interact with a scene digitally in real-time. Today, capturing precise, photorealistic 3D information by field personnel at many outdoor environments is time consuming, not real-time and requires specialists to process data. This inefficient process causes long delays resulting in severe economic loss in many construction and factory maintenance activities. Their patented smart handheld camera systems include intelligent proprietary software integrated with multiple sensors. Proprietary software stiches data from multiple sensors cohesively to deliver 3D color image data compatible with commercial 3D modeling software. This technology also enables a pathway to offer compact and low-power 3D cameras necessary for large-area 3D mapping by drones and autonomous vehicles. Furthermore, the technology enables customers to view 3D models in VR and AR platforms.